20 questions you need to get clear on NOW to ‘hit the ground running’ in January. It’s the most wonderful time of the year… well, it is if you are my 8-year-old son Louie who will spend December happily cruising from one fun-filled activity to the next. For me, a middle-aged marketeer, and for most small business owners, it’s a flaming busy time year of the year, thank you very much. Besides Halloween, Bonfire night, a series of family birthdays and then Christmas itself, this is the busiest time in my calendar. Because, this is when clients and prospects start to use that phrase: ‘hit the ground running in January’. It’s not my favourite phrase, as mother to two boys, and a natural worrier, it makes me think of broken ankles. But, it’s an understandable sentiment. The old year (how is it old when it feels like it’s only just kicked off!?) is drawing to a close and the prospect of a fresh start awaits. January is typically a great time to feel the need for a new leaf, put past mistakes behind you and get focused on marketing, to drive revenue and have a stonking good year. If you are feeling this feeling of wanting to ‘hit the ground running’, but you aren’t sure exactly where you want to land, how fast you need to run, or even where in the heck your running shoes are, we have your back. Here’s what we are working through with our clients at the tail end of the year to make sure that come January 1st, well 2nd, okay – 3rd, they are ready to crack on with the business of business, complete with a marketing plan that is fresh out of the box and ready to go. There are 20 marketing questions that we think you should be asking yourself to unlock total clarity on what to include in your marketing plan for 2019. They really aren’t complicated, but answering them DEFINITIVELY, once and for all is a game changer for most small businesses. Write them down (critical: plus the answers) and you’ll have a simple mini-marketing plan. What kind of person or business is my ideal customer? If I could work with only one type of person or organisation for the rest of my business career – who or what would it be? What is the main problem that I solve for this business or person? How am I different from the other people solving the same problem for the same customers? What are the products or services that I’m offering to help solve this problem? What could prevent a client from wanting to work with me? How will I resolve these ‘objections’ in my marketing? What will I charge for these products or services? What is my revenue target for 2019? How many products or services – and in what split – do I need to sell in order to meet my revenue targets? Which marketing assets and resources (e.g. website, branding, lead magnet, mailing list, etc) do I already have? Which of these foundation pieces need updating or creating? What are the best methods of communicating with my dream client? e.g. Do they prefer written or video content? Which seminars, trade shows or other events do they go to? What do they like to read, watch or listen to on or offline? What kind of industry groups or networking organisations do they belong to? Which partnerships can I build in order to generate referrals or grow my own contact lists? Which activities can I do to catch the attention of my ideal clients in the locations specified in questions 12-16? How much investment am I prepared to make in order to bring these marketing activities to life? Which skills do I already have to put together these activities and what might I need to outsource? How will I measure my activities to find out if they are working? The answers to these questions form the basis of any marketing plan. You can go to town, making this as fancy and detailed as you like, or you can answer these in a simple format and create a two-page document that uses the answers to outline your strategy. If you haven’t started your Christmas shopping yet, and that’s starting to freak you out, maybe go with the latter to save time. You can build it up later. We are now offering to help small businesses put a basic strategy together with our Build Your Own Marketing Plan service. 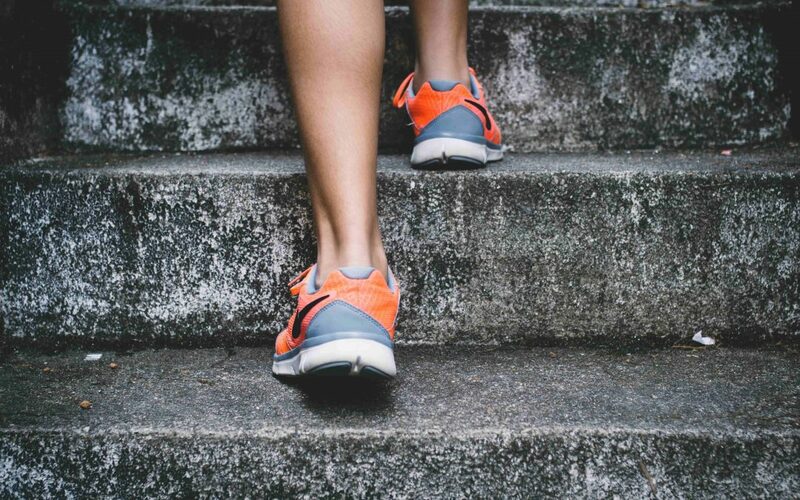 Hire us to help you get the job done – we’ll help you find your trainers and make sure that you don’t fall when you hit the ground running in 2019.